Welcome to my article about Britt World Wide. My goal today is to talk about what it is, how it works, and what you should know about this Amway Motivational Organization. Please know upfront that I am not affiliated with Amway or Britt World Wide in any way, although I did spend about 2.5 years in Amway as an IBO from 2002 to 2004. During that time I was affiliated with the World Wide Dream Builders. Amway is the largest network marketing company in the world, doing sales of more than $9 BILLION per year. They trace their roots back to 1959 with the Devos and Van Andel families. They offer more than 400 different products in the health, wellness, weight loss, skin care, and personal care product categories. While they have their share of fans and critics, there is no doubt that Amway has paved the way for every other company in our great industry. They are the “Godfather” of network marketing and their victory in the 1979 case vs. the FTC is a monumental milestone for the entire network marketing industry. I have tremendous respect for this company. You can read my review of Amway here. Bill Britt is a legend in the Amway Business. He is the founder of Britt World Wide. If you were fortunate enough to meet him while he was alive, you would never forget him. He was a man’s man. He was a leader. He was a doer. He told it like it is. He was like a bull dog. People either loved him or hated him. You knew where you stood with Bill Britt at all times. During his approximate 40+ years in Amway, he built a team of more than 1.5 million distributors. To the best of my knowledge, Bill Britt founded Britt World Wide sometime in the 1980s. Prior to that, he worked with Dexter Yager and his group. What is Britt World Wide? Also known as BWW, Britt World Wide is an Amway Motivational Organization. Think of it as a SYSTEM, a standardized way of doing the Amway business. It provides training, support, motivation and Business Support Materials to its members. Basically, it is an educational system for distributors, designed to teach them leadership, network marketing, and how to build an Amway business. 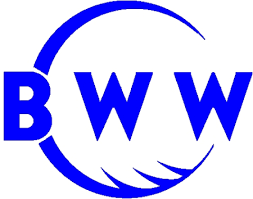 Britt World Wide offers local, weekly and monthly events. These events are normally ran by Platinum, Ruby and Emerald leaders in the business. In addition to the local events, there are 4 major functions per year that distributors can attend. To the best of my knowledge, this includes Dream Night, Spring Leadership, Family Reunion, and Free Enterprise Day. Dream Night: At these events, there are normally one or two Diamond couples speaking. It includes a dinner where people can mingle and socialize with other Amway distributors, and then the Diamond couple shares their success story, along with some success tips. I believe these events are normally held in December or January each year, and are done on either a Friday or Saturday evening. Spring Leadership: This is a big event. There can be anywhere from 5,000 to 20,000 or more people in attendance. It’s typically a 2.5 day event on a Friday, Saturday and Sunday. Successful Diamonds speak at the event. There is also some product training, entertainment, guest speakers, a religious service and tons of recognition. Family Reunion:The successful Diamonds within Britt World Wide can schedule their own Family Reunion each summer. This is for the distributors on their team. These events can range anywhere from a couple thousand people to 10,000 or more people in attendance. This event is normally held in June or July each year. Free Enterprise Day: This was my favorite Amway function. FED is normally held in September each year, and there can easily be 8,000 to 20,000 people in attendance. Free Enterprise Day is very patriotic. They recognize the military and veterans in the audience. There is plenty of recognition, training, music and fun times. This is also a 2.5-day event, done on a Friday, Saturday and Sunday. My favorite part of Free Enterprise Day was new Diamond recognition. Britt World Wide also provides CDs, books, voicemail services, brochures, catalogs and other business support materials to help train, motivate and support its members. Here are some of the more popular Britt World Wide Diamonds. Throughout his Amway career, Bill Britt had hundreds, maybe even thousands of Diamonds in his team. I’m not sure who is still active in the business, who retired, or who was terminated. In addition, many of his diamonds went off and started their own Amway Motivational Organization. If you have any updates on this, leave a comment at the end of the post. I do not have the complete Britt World Wide Reading List. I’m sure they have added new books in recent years. The titles below are books that were recommended during my time in Amway. I have read all of these books and absolutely loved them. Network marketing is the ultimate people business. You have to be likeable and know how to get along with others. Basically, you need to master your people skills. This is the greatest book ever written on how to get along with other people. It helped me immensely and I know it can have the same impact with you. Most people sell themselves short and underestimate themselves. Most people think small and struggle with confidence and worthiness issues. If that describes you, this book will help you. This book teaches people how to become confident, think big, and overcome their fears. This is one of my top three favorite books of all time. This is one of the best-selling business books of all time. Robert Kiyosaki teaches the difference between how entrepreneurs and employees think. He teaches people the importance of assets, creating passive income and why you should own your own business. This book is one of my all-time favorites. This book teaches you how to bring out the best in others. Since Amway is a team sport, this book will help you learn how to motivate, inspire, recognize, and help other people grow and succeed. This is an all-time classic. This book will teach you how to become a go-getter. It’s an older book, but still relevant. You can read the book in about an hour. It tells the story of how one man went from nothing to something. The is quite perhaps my # 1 self-help book of all time. I can’t tell you how many times I’ve read this book. If you want to learn how wealthy people and successful people think, this is the book for you. Just about every other self-help book written is based off the principles you will learn in this book. This is another life-changing book. 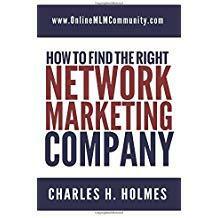 This book will help you discover that you can be successful right where you are at right now. There are plenty of opportunities right under your feet, if you will only recognize them. If you want to learn how to sell, this book is the only book you need to read and study. Mr. Bettger was one of the most successful salesmen of all time, and in this book, he shares some of his best secrets with you. My copy of the book has hundreds of underlined passages. This book has the “scrolls” in it. Study this book and these scrolls for a few months and you can program yourself to be VERY successful in selling. Og Mandino is my favorite author of all time. This book helped me in my marriage, in my friendships and in the business. Learn the different ways that people perceive love and find out how to make others feel loved and appreciated. There are many other books on the Britt World Wide reading list, but these are my favorites. Serious reps in Britt World Wide are taught the 9-CORE Steps. These are the simple steps to success if you want to build a big Amway business. # 1 Show the Plan 3-5 times per week. The only way to grow your Amway business is to show the plan to new prospects consistently. Your goal should be to show the plan to at least 3-5 new prospects each week. This could be personal prospects or prospects of your team members. # 2 100% use of your own product. Be your own best customer. Use all of Amway’s products and don’t shop from competitors. Be a product of the product. # 3 Maintain 50 PV in customer volume. Every business needs customers. All Amway reps should maintain at least 2-3 retail customers each month, or do 50 PV in retail sales each month. # 4 Listen to at least one CD of successful people per day. Study successful people in the business. Listen to a CD each day so you can program your mind for success. # 5 Read books daily, at least 15 to 30 minutes. For your business to grow, you must grow. Read at least 15 to 30 minutes daily in a book on the reading list. # 6 Attend All Meetings. Attend every event, no excuses. This keeps you plugged in and part of the team. Events are where people build their belief and make a decision to build the business. # 7 Build with honesty and integrity. Live by the Golden Rule and do the right thing at all times. Treat people the way you want to be treated. # 8 Be teachable and counsel with your upline. Follow the advice of someone who is successful in the business. Sit down with your upline mentor once a month to review your business and see what you can do to improve. # 9 Use BWW Technology. Leverage the technology offered by Britt World Wide so you can work smart and stay plugged in. There you have it folks. I hope you have enjoyed my review of the Britt World Wide system. If you’ve ever participated in Britt World Wide at some point or another in the past, please leave a comment below to share your experience. I look forward to hearing from you. Disclaimer: Britt World Wide and Amway are registered trademarks owned by their respective companies. I am not affiliated with either of these companies in any way, nor was this a paid review.